Ari is an ecologist with a primary interest in the understanding the relationship between the foraging behavior of marine mammals and their prey. Ari works on a wide range of marine mammal species including baleen and toothed whales and dolphins across a range of geographic regions. Ari has long-term ecological research projects ongoing in Alaska, California, Massachusetts, North Carolina, and Antarctica. Ari has helped in the development of tag technology and analytical and visualization tools to better understand the underwater movements and behaviors of marine mammals. For his dissertation research, Ari used geospatial tools to quantify how the distribution of cetaceans related to environmental variables in Antarctica. At the MMI, Ari’s lab will focus on developing new telemetry applications to elucidate the underwater behavior of marine mammals. In Antarctica, Ari is part of the Long-Term Ecological Research program at Palmer Station to better understand the ecological roles of cetaceans in a rapidly changing environment. In Alaska and Massachusetts, Ari’s research focuses on variability in the foraging strategies of humpback whales in relation to changes in their prey. In California, Ari is part of the SoCal Behavioral Response Study to understand the impacts of anthropogenic sound on a variety of cetacean species. Along with this research, Ari is an active member of the Society for Marine Mammalogy, acting as an associate editor for Marine Mammal Science and serving on the Conservation Committee. 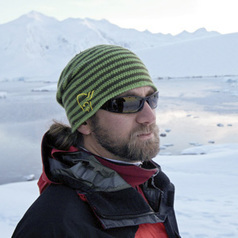 Ari is also a principal investigator in the Southern Ocean Research Partnership to conduct non-lethal research on cetaceans in the Southern Ocean.